I was out early looking for photographic opportunities when I spotted the morning sunrise with the old Portsmouth Naval Prison silhouetted against the rising sun. The Prison has a long history beginning with the American Revolution. The New Hampshire Militia commanded by General John Sullivan built an earthern fort on this site in 1775 to guard Portsmouth from the British. After the American Revolution ended Fort Sullivan was again reactivated during the War of 1812 and closed again after that war. During the American Civil War in 1863 the fort was rebuilt to protect the City of Portsmouth and the Harbor from the Confederate Navy. During it’s service the Portsmouth Naval Prison housed prisoners from World War I, WW II, Korea, and operated almost to the end of the Vietnam war. I’ve heard stories from longtime Seacoast residents about hearing shouting and whistles from the prison as they boated by. The prison was officially closed in 1974 and sets empty to this day. Morning sunrise over Portsmouth Naval Prison and the Shipyard. 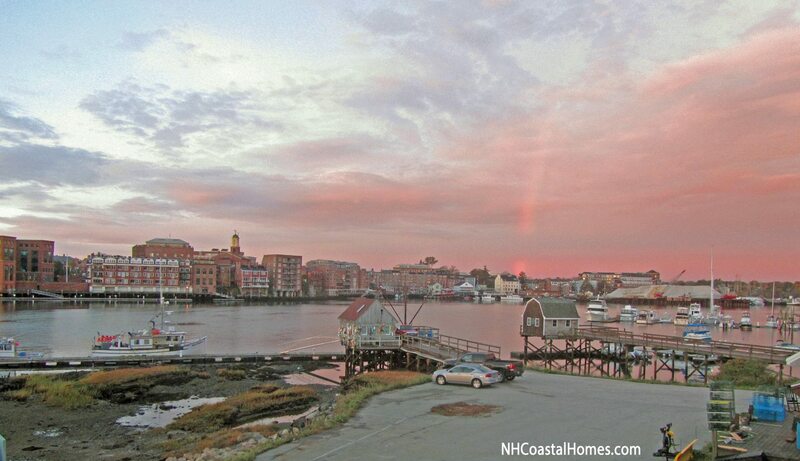 After getting my sunrise photo from the east side of the bridge I noticed a very beautiful vertical rainbow over Portsmouth Harbor on the other side of the bridge. I love living on the New Hampshire Seacoast. 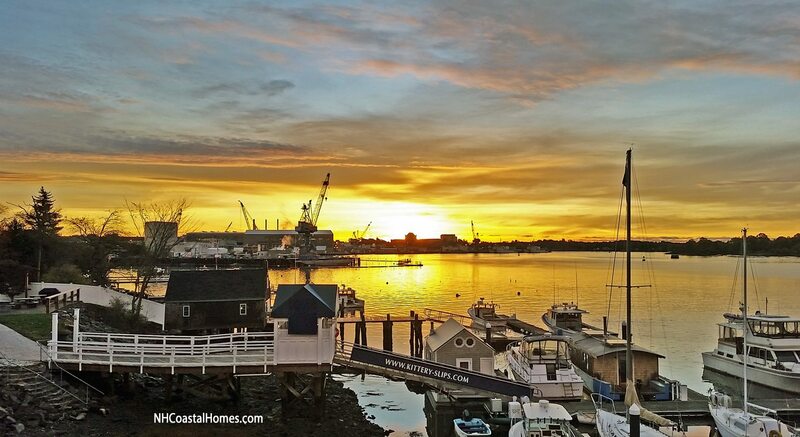 While New Hampshire has the shortest coast line of any ocean facing state, 17 miles from Seabrook in the south to Portsmouth in the north, it’s 17 miles packed with scenic beauty and tons of American history.